Measure is an aerial intelligence company that enables enterprises to realize the transformative benefits of drone technology. Through our comprehensive software solution, specialized data engineering team, and highly skilled flight operations, we help corporations deploy drones at scale, saving thousands of hazardous man-hours and providing millions of dollars in operational benefits. Established in 2014 and grew to top 5% of drone firms by revenue. Industry leading safety record with 99.9% airborne success rate. Expert pilot corps with 100 years of military service and 50,000 hours of flight experience. Fully licensed and insured, including FAA waivers for nighttime operations. Robert is a notable economic advisor, entrepreneur, venture capitalist, and frequent commentator on major news programs. As a former Chairman and CEO of UBS Americas and three-time Presidential appointee, he was named one of the 100 Most Powerful People in Finance by Worth Magazine. Brandon is widely considered a leading thinker and entrepreneur in the drone industry. He served on the FAA Drone Registration Task Force and in senior level positions for the NYPD, the Senate Intelligence and Judiciary Committees, and the House Homeland Security Committee. Rich is responsible for the company’s legal and regulatory efforts. 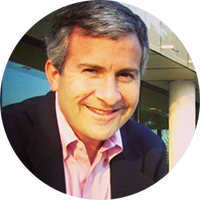 Rich previously served as CLO and head of corporate M&A at Inmarsat plc, a commercial satellite operator, and has served as SVP and General Counsel at Stratos Global Corporation and Segovia, Inc. He holds a law degree from the Yale Law School. Over the last 25 years, Dan has scaled four companies in as many B2B verticals, creating and executing breakthrough growth and operating strategies, resulting in two successful IPOs, and two Private Equity exits. Jesse joined Measure as its first employee in 2014. His previous experience included advisory work in business, policy, risk mitigation, and infrastructure development. He began his career at a defense and security intelligence company, where he worked extensively on unmanned systems technology. Brendon served over 10 years in the military as a combat medic and UH-60 Black Hawk Helicopter pilot. He also assisted the FAA in the management and businesss control activities of high risk, multi-million dollar federal aerospace programs, including those within NextGen. Carmen has twenty years of experience focused in marketing technical products. She has worked in automotive, solar, and IoT for companies such as General Motors, BP, and Alarm.com. She holds a bachelor’s in Mechanical Engineering and an MBA from the University of Michigan. Harjeet is an expert in the energy space. He has held senior positions with ICF, a leading energy consulting company, and with General Electric’s Energy Consulting business where he developed engineering and policy solutions for integrating renewable energy into power grids. Harjeet has a PhD in Electrical Engineering and has authored numerous patents. We employ high energy, skilled individuals who thrive on being at the top of their game. We pride ourselves on maintaining a culture based on integrity, professionalism, and fun. The Measure team comes from all walks of life, and we enjoy collaborating to solve problems, overcome challenges, and delight our customers.